Bottomline: The Pioneer DJ DDJ-SR2 is a worthy successor to the DDJ-SR, with a lot af useful added features, a solid construction and a very decent price! 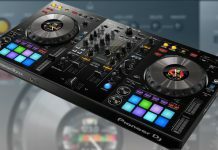 The Pioneer DJ DDJ-SR2 is the successor of the popular DDJ-SR, and it comes with a lot of updates. The build quality is still as good as ever, this is certainly a DJ controller that will last for a long time and will survive the hard life on the road. The SR2 has some cool additions over the SR: RGB performance pads (obviously), dedicated Key Sync and Key Shift buttons that work together with Serato’s Pitch ‘N Time and above all, a hardware mixer with Serato DVS support! All of this in a compact format factor, which will please club DJ’s that are looking to fit the SR2 in cramped DJ booths. 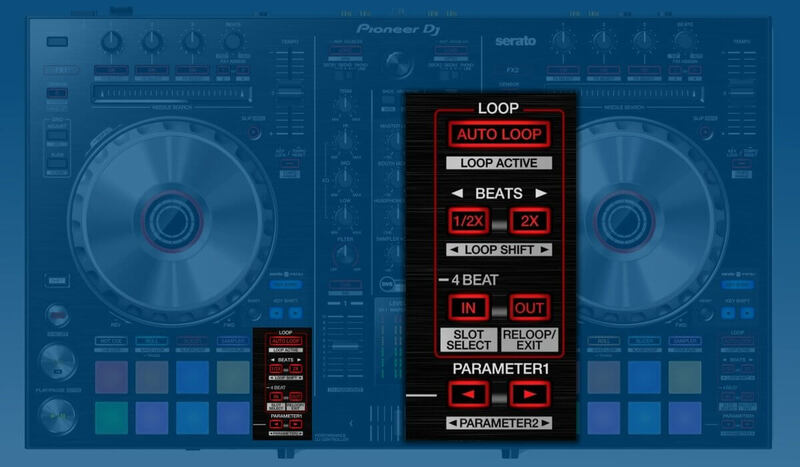 The effects section on the DDJ-SR2 is much like on any Pioneer DJ controller for Serato DJ. It has the possibility to trigger 3 effects at the same time, the ON buttons doubling as FX SELECT buttons when combined with the SHIFT button. 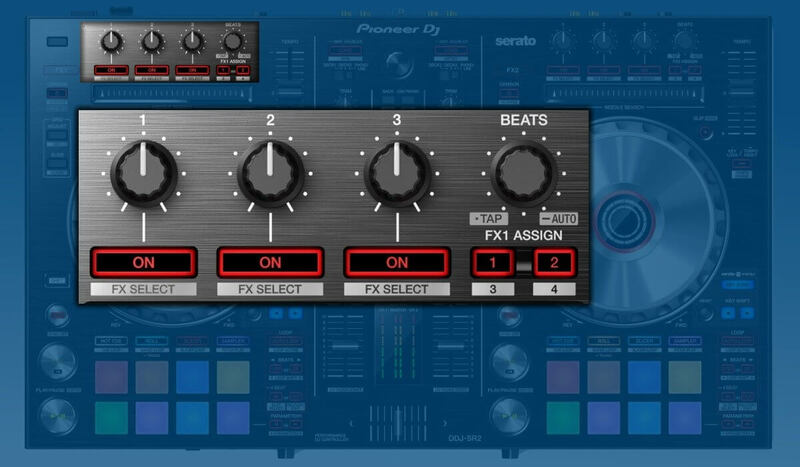 There is a BEATS button to control the number of beats to take into account when engaging an effect, and you can assign each effect section of each deck to any of the 4 available Serato DJ software channels. What I’m missing here is an FX MODE button, to toggle between Serato’s multi-fx and single fx mode. 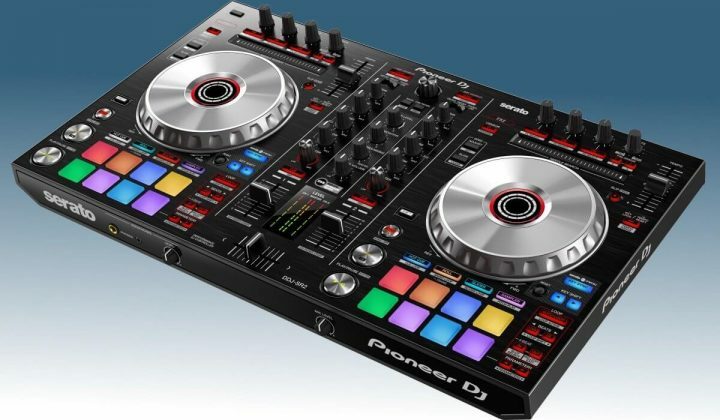 The jogs are really solid, as we have come to expect from Pioneer DJ. They are responsive, but for my taste, they are weighted a bit too lightly. This makes spinbacks easier and more fluid, but on the other hand, it might be too loose for scratch DJ’s. It’s hard to get it right for everyone anyway, so I guess Pioneer DJ tried to go middle of the road here. The addition of a touch strip is a big plus. It makes search within a track so much easier, but make sure to deactivate it during playback, or you might find yourself in an embarrassing situation if touch it by accident. The performance pads of the DDJ-SR2 are now, obviously, RGB colored. 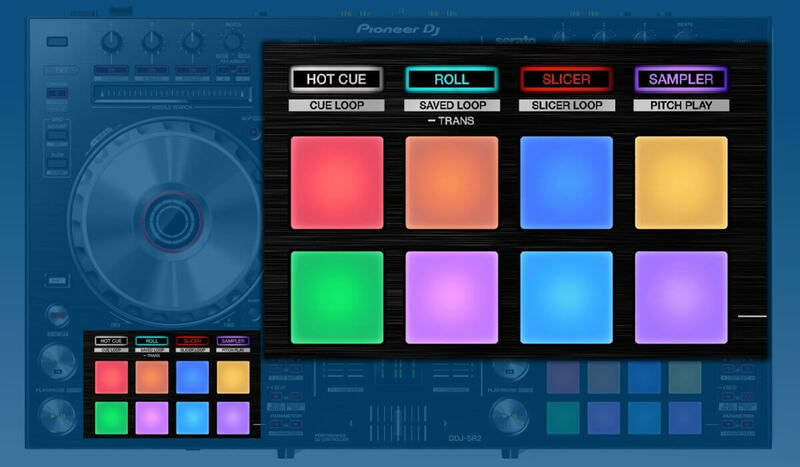 They support the most important performance functions in Serato DJ (HOT CUE, ROLL, SLICER, SAMPLER, CUE LOOP, SAVED LOOP, SLICER LOOP) there is also the PITCH PLAY feature, that allows you to pitch up or pitch down a selected cue. We have gotten so used to have all these features on a DJ controller that it’s easy to take them for granted. But they do allow for an amazing amount of creativity when performing as long as you know how to use them. The DDJ-SR2 has dedicated buttons to sync and the shift the KEY between two or more tracks. There is also a dedicated reset button to go from the selected KEY to the base KEY of the track. This is really great and also very easy to use. In combination with the performance pads and the loop section, you can really do cool tricks on the fly. Check out the video below for an example. The loop section of the DDJ-SR2 is very clear. There is an auto loop button to launch an automatic loop of a determined size, beats buttons to half or double to selected loop size and buttons to set a manual loop. There are also Parameter buttons to change different performance settings. For example, you can change the size of the slice size when using the SLICER function. There are other functions worth noting here. The pitch fader is small as expected on a mid-level Pioneer DJ controller, and that is OK, but if you are like me and prefer a full-size fader, this one will be a compromise. On the right side, there is also a handy CENSOR button to keep out those occasional swears from your performance. It’s also a nice performance feature when used correctly. 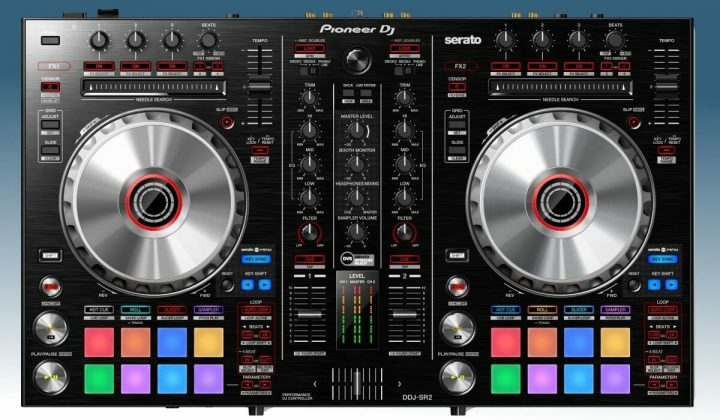 The mixer is a huge improvement over the original DDJ-SR. It’s actually a hardware mixer, so it’s possible to connect turntables and/or media players and use the SR2 in conjunction with Serato DVS. The channels switches on top of the mixer can switch between DECK 1, DECK3 (for the left channel) and PHONO/LINE. 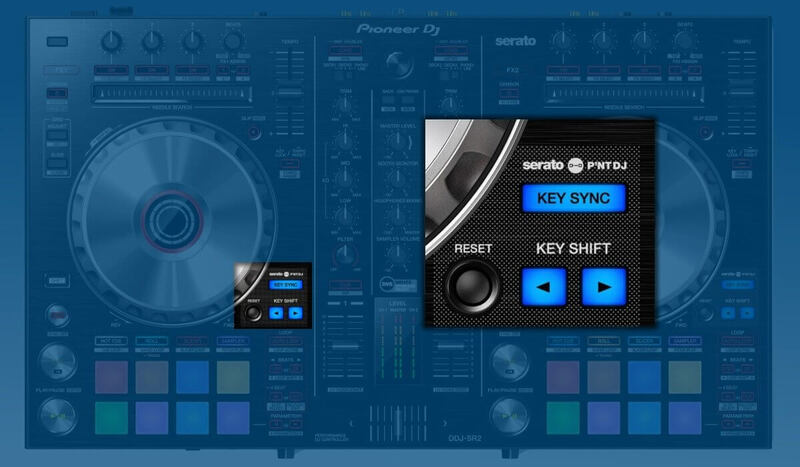 The DECKS mentioned are software decks in Serato DJ so it’s important to keep in mind that since this a 2 channel mixer, each deck will always share a physical channel with another deck. 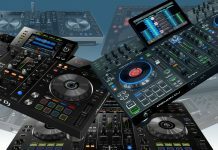 This is not ideal as it can become confusing quickly so if you are planning to use 4 decks regularly, I would suggest looking into a 4 channel Serato DJ controller. 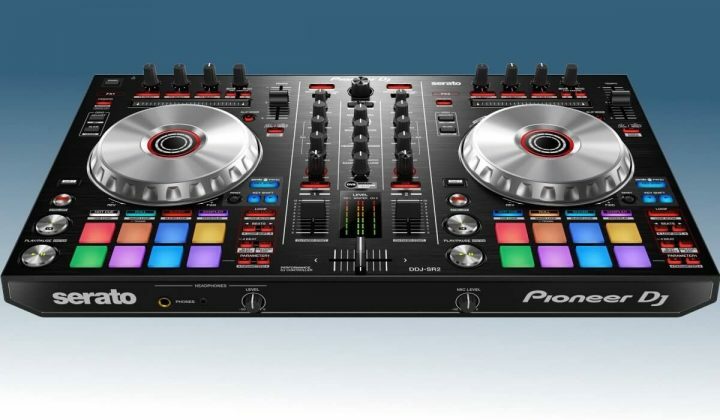 The DDJ-SX2 would be a good option here. Furthermore, the mixer has a 3 band EQ per channel, a TRIM knob per channel, and VU meters per channel with a separate Master channel VU meter. The line faders don’t offer much resistance and that might displease some, but that’s something you can easily get used to. There is also a filter knob to control the Serato DJ filter. 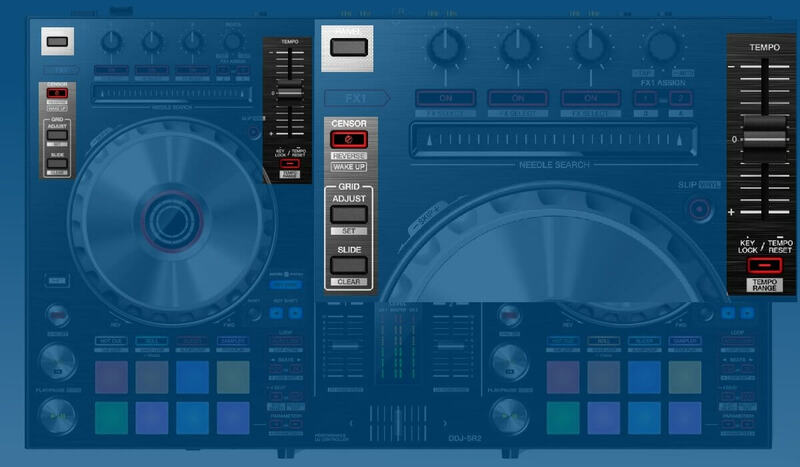 In the center of the mixer, there are several volume buttons. There is a master level knob obviously, but also a booth level knob, as the SR2 has a booth monitor output. There is a knob to set the headphone mix between cue and master and finally, there is even a sampler button. If you are a heavy samples user, this will be very useful, as samples often have very varying volume levels. On the back of the SR2, there are a generous amount of inputs & outputs. There is a TRS booth output, and two master outputs: one RCA and one XLR. Each line channel has its own RCA input, with switches to change the channel between LINE and PHONO. There is also a TRS microphone input with a volume knob on the front. The Pioneer DJ DDJ-SR2 is a solid piece of equipment. 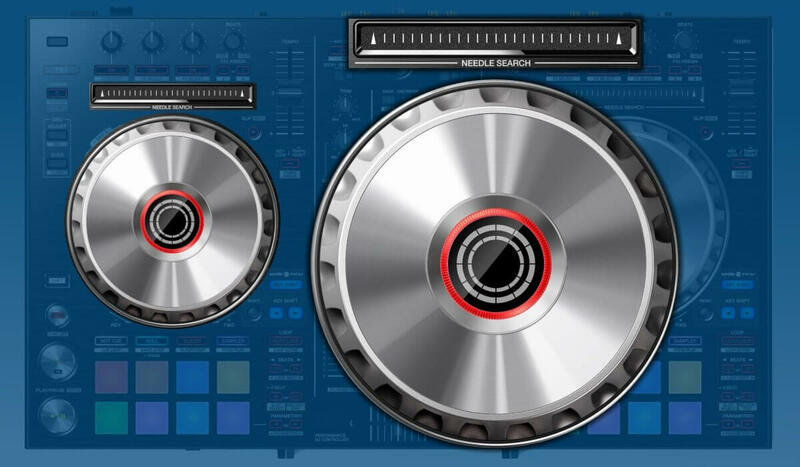 Its compact size will make it a favorite among mobile DJ’s and club DJ’s that like to bring their own gear to the club, as it has (almost) all the bells & whistles of their 4 channel counterparts minus the extra weight and size. 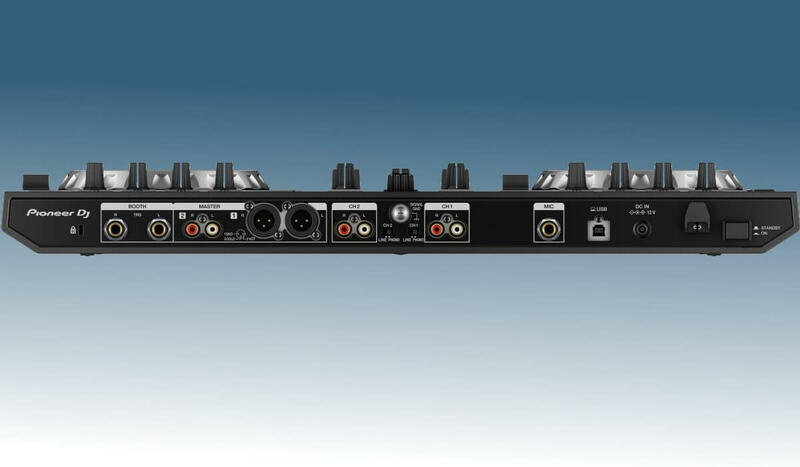 The hardware mixer is a big plus as well, as it allows the SR2 to act as an independent hardware mixer between two turntables or media players. Its compact size makes it a more natural choice for this than a 4 channel mixer since in that case, the decks are much farther apart from each other. Overall, this is a great mid-level controller, and at this price (around USD 700, check prices by clicking on the link) it’s sensible investment. is it the best buy at the moment? Well, in all fairness, the competition has gotten tougher since the SR launched originally, and you can get a lot for 700 bucks these days. 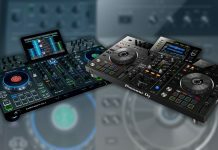 If you want to see how the SR2 compares to other similarly priced controllers, check out our mid-level DJ controllers guide.